9. Simple driving system, stable performance and convenient maintenance. 3.We can send technician to buyer's factory to install the machine and provide training service. 3.After the warranty period, the spare parts for replacement are offered based on certain charge. 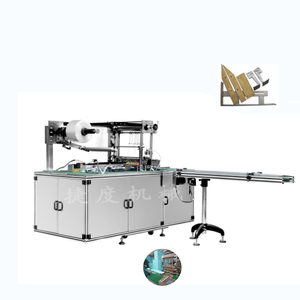 Yiwu Jiedu Mechanical Equipment Co., Ltd.
Chengdu Shengli Machinery Equipment Co., Ltd.
folding envelop small chocolate wrapping machine SL-SBZB450 series automatic packing machines are mainly used for the folding and envelop style packing of chocolate, hard candy, pressed candy etc. SL-SBZB450D is an upgraded version based on SL-SBZB450, which adds additional label wrapping and double layers wrapping packing function, providing more variety and flexibility in packing style. 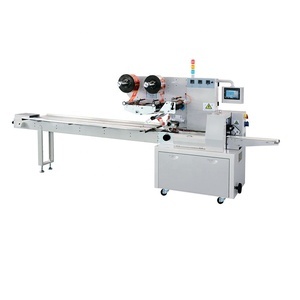 The complete machine consist of one set SL-SBZB450 Folded Packing Machine and one set SL-SBZL500 Arranging and Feeding Machine. The machine integrating machine, electricity and gas as a whole, has compact structure, beautiful performance, convenient operation and easily maintenance, small volume, light weight and high degree of automation, etc. various small boxed item&rsquo;s packing, has anti-counterfeiting, moisture proof, improve product added value, product grades and product packaging quality function, is an ideal cassette 3d packaging equipment. The packaging products have security, moistureproof, dustproof functions, Improving the products, improve the added value of the products, improve the quality of product appearance decoration. Our machines is highly automatic and efficency, some ordinary part are made of our factory, but the core-devices are imported from others World-classical in order to improve our machines' stable quality. our suppliers are great famous manufacturers of the world, so our company and products have reward good reputation from customers. we can make the packages according to customer's request. High speed single twist chocolate wrapping machine This machine is twist packaging for cone,rectangle and roundness chocolate. 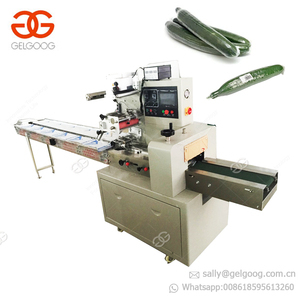 film delivery structure use servo motor device,also can mactch the color code positioning,by the delive -ry conveyor,chocolate could be delivered to the packing machine. 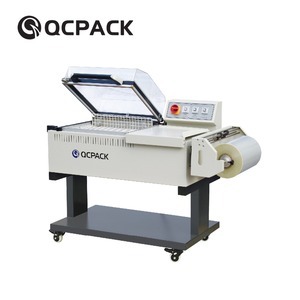 the packing speed is based on the product quantity controlled by the auto system,the feed -ing system could be both automatic and manual. 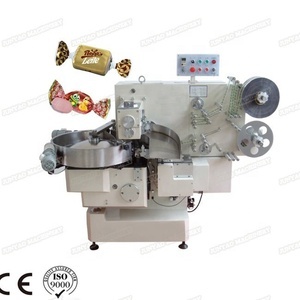 Description Clear POF film shrink chocolate wrapping machine contains two machines, shrink packing machine and sealing cutting machine. 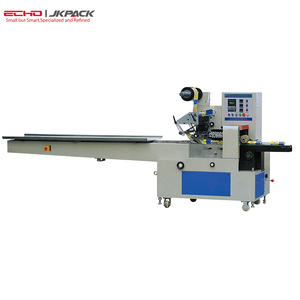 The machine adopts imported touching screen,on which all settings and operation can be done. 5. When pack different sizes of products, it is simple to adjust, need not to exchange any molds or any bag making device. 2. Q:Are you direct factory9 A:We are both manufacturer and trading companiesno one knows more about our products than we do. 4. Q:Do you have gurantee for your product9 A:As a factory, no one knows more about our products than we do. 5. Q:How can we contact you9 A:Here is contact information: Contact company: Ningbo D & R Machinery Co.
Alibaba.com offers 7,330 chocolate wrapping machine products. About 54% of these are multi-function packaging machines, 17% are wrapping machines. A wide variety of chocolate wrapping machine options are available to you, such as free samples, paid samples. 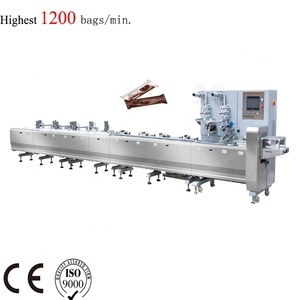 There are 7,267 chocolate wrapping machine suppliers, mainly located in Asia. The top supplying countries are China (Mainland), India, and Taiwan, which supply 99%, 1%, and 1% of chocolate wrapping machine respectively. Chocolate wrapping machine products are most popular in Domestic Market, Mid East, and Southeast Asia. You can ensure product safety by selecting from certified suppliers, including 1,236 with Other, 1,085 with ISO9001, and 333 with ISO14001 certification.